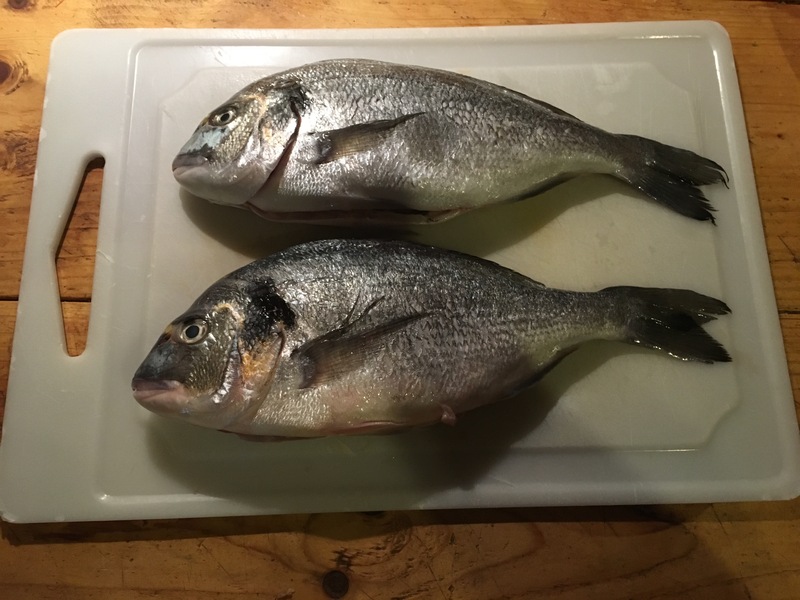 Sea bream are a variety of fish species that are very popular in restaurants, especially in Europe. Despite their popularity as seafood, these species remain very plentiful throughout much of the world and are sometimes considered sportfish. 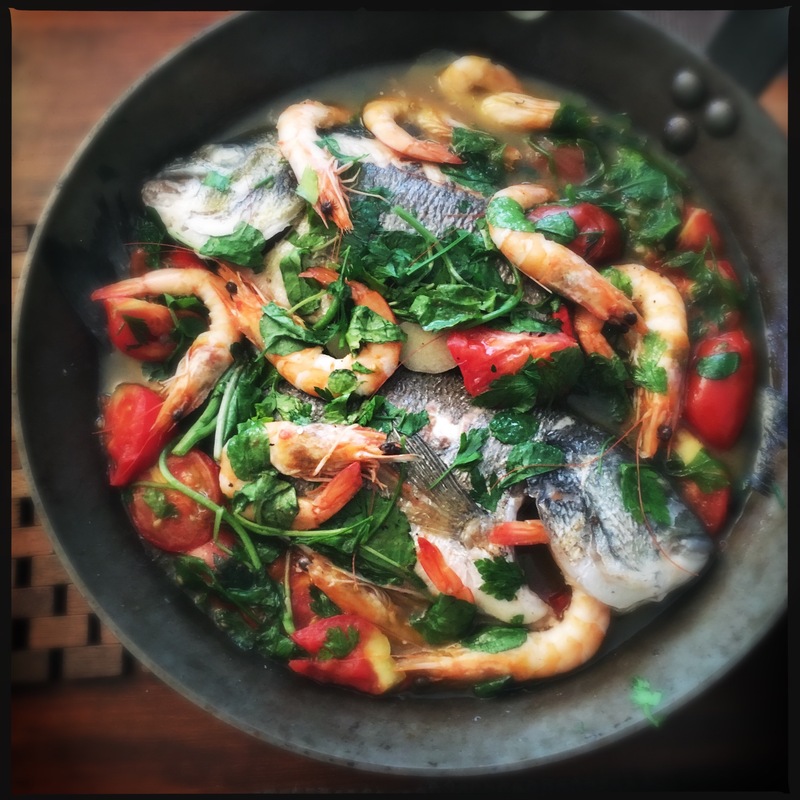 They are sought after because of their mild, white meat, considered some of the best of any white-meat fish. These fish are part of the marine sparid fishes. The Sparidae family is also known as porgies. These fish have certain distinctive features that make them easily identifiable. First, their bodies are relatively flat. The line from the dorsal area to the front of the fish descends very rapidly giving the face a flattened appearance, especially when viewed in profile. The sea bream’s body shape is its main distinguishing feature. Their color varies widely from species to species, mainly depending on water type and environment. In brackish waters, for example, the fish tend to be darker, with shades of blacks and grays to help them blend in with the environment. Some fish, in other areas, even have a bright red appearance, showing how diverse members of the family can be. The front teeth of many types are broad and flat, ideally suited for crushing small crabs and clams. Sea bream are found in oceans all over the world and in all types of water temperatures, depending on the species. Some do have a definite preference for warmer waters or cooler waters. Due to their wide distribution, they are well known as a food fish in many cultures, especially those near oceans. Perhaps the most common variety of fish in this group is the European sea bream, scientifically called the Pagellus centrodontus. This fish is mainly silver in color, but with shades of both red and yellow, depending on the individual. It is commonly found in oceans surrounding Europe and is considered to be a temperate-water fish, preferring water that is cool, but not extremely cold. There are a number of species that are also commonly found in the western Atlantic, off the coasts of the United States and in the Caribbean. These include the western Atlantic sea bream (the Archosargus rhomboidalis), and the fish commonly known as the sheepshead. Both are prefer subtropical waters and are usually found in areas that offer plenty of cover, such as reefs and under bridge pilings. 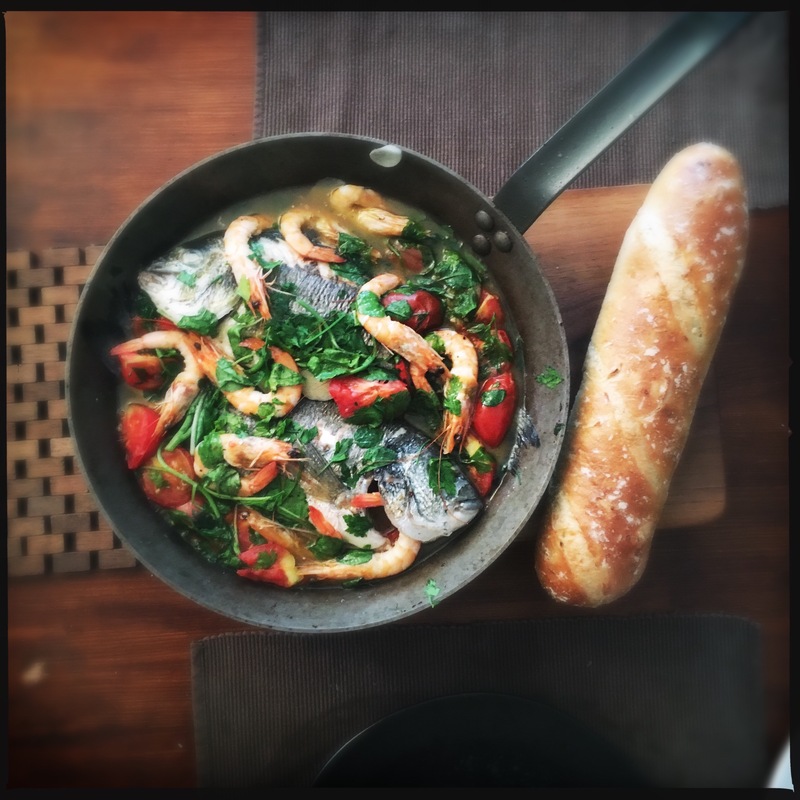 sea bream and prawns cooked in crazy water, Orata di mare e gamberetti cotti in acqua pazza. Heat the olive oil in a large, heavy-based frying pan over a medium high heat. Add the bream, cook for 2 minutes and carefully then turn over. Now add the sea salt, garlic, chilli and tomatoes. You can see that it’s cooked by checking that the eye have turned white and the flesh is tender. Now season with salt and pepper. 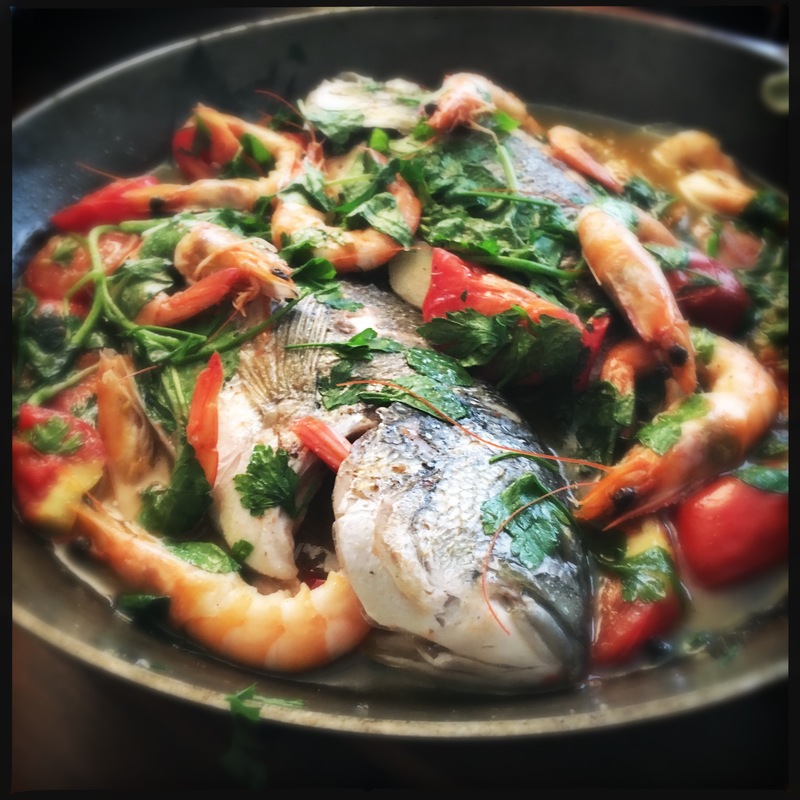 Remove the bream from the pan and place on a large serving dish and pour the juice and tomatoes from the pan over the fish. 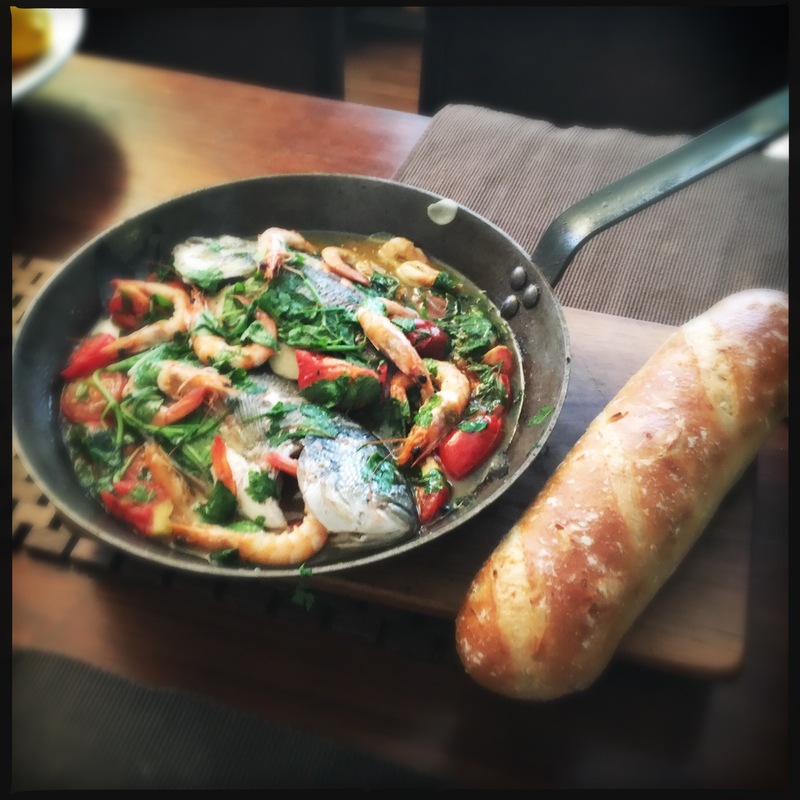 Serve immediately, with lots of hot crusty bread to mop up the delicious sauce.